DANA Members $60. Not a member yet? $100. DANA is not responsible for any expenses incurred by the registrant is a workshop is cancelled. All sessions will be recorded and the recording will be available to all registered participants. Participants who are unable to attend one or more of the sessions will still have access to all course materials. This course is a great primer for new board chairs and excellent refresher for more seasoned board members! Whether you're a current chair, chair-elect, or head up a committee, this workshop covers leadership skills every board member needs. Topics include: leadership characteristics of effective board leaders, key relationships in and out of the board room, your leadership legacy, facilitating meetings that matter, and ways to engage individual board members. Four-part online course from 9:00am to 10:00am (EasternTime) on Tuesdays, January 15 - February 5, 2019.
WHO SHOULD ATTEND: Board Members, incoming Board Chairs, other committee chairs, and Executive Directors are encouraged to attend. A better understanding of the board chair's responsibility in strengthening the work of the board as a whole. Strategies that can help you lead more effectively as a board chair. Ways to more effectively structure board meetings and engage individual board members at meetings. Characteristics of Great Board Leaders –How do You Measure Up? Your North Star – What Will Your Legacy Be? 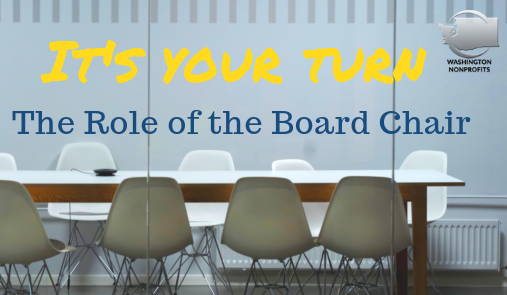 Part 2: What's Your Job as Board Chair? Amanda Madorno is a leadership coach, consultant and planning facilitator who helps nonprofit leaders and their teams drive personal and organizational change. After many years in the nonprofit sector as a fundraiser and executive, Amanda began consulting in 1994 and incorporated Roam Consulting LLC in 2001. Her firm focuses on helping leaders build the skills they need to lead with excellence, successfully navigate change, and create productive teams. She believes emotional intelligence is the cornerstone of leadership excellence and is certified EQ practitioner. A seasoned nonprofit interim executive, with more than 17 interim assignments under her belt, she brings real-life leadership experience to her coaching and consulting practice. Her clients include community health clinics, Native American tribes, associations, museums, independent schools, social service agencies and Fortune 500 companies. Credentialed in Equine Experiential Learning, Amanda blends her horse sense with her understanding of leadership. Leadership with Horses is an innovative leadership development experience that draws leaders and teams from around the globe. They join Amanda and her herd of horses in the arena to work together and make breakthroughs in their leadership skills and competencies.